Watch our performance at "So You Think You Can Play The Schuster?" on September 29, 2013. The Kettering Civic Band originated in 1959 as a 12-member ensemble at the Fairmont Presbyterian Church in Kettering, Ohio under the direction of Paul Shartle. In 1960, it became part of the Kettering Adult School and is now sponsored by the City of Kettering as part of its Park, Recreation and Parks Department. The band consists of about 70 amateur volunteer musicians representing a wide range of professions and vocations, all sharing in the enjoyment of making music. While high school band experience is the minimum requirement for membership in the Kettering Civic Band, many have played in college or military bands, and some are retired professional musicians. The concert season for the band includes performances at retirement homes, festivals, parades and the concert park series in several communities in southwest Ohio. The Kettering Civic Band has been a goodwill ambassador for the City of Kettering with concert tours to Kettering, England and Steyr, Austria. The band has also performed in Germany, Italy, Scotland and Wales. 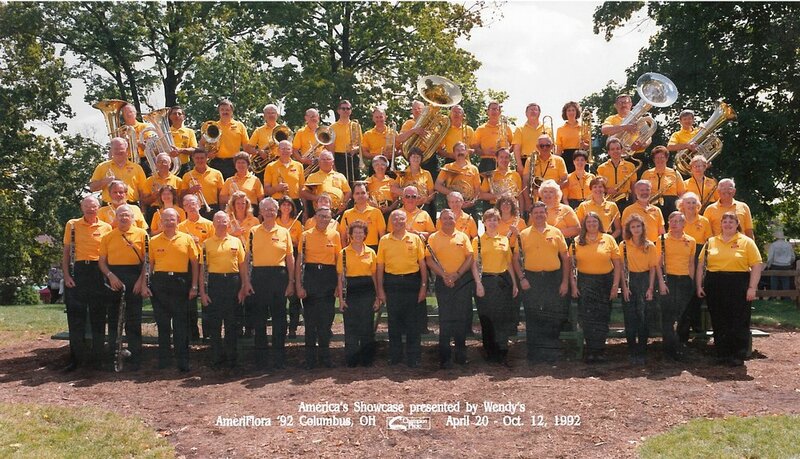 The Kettering Civic Band toured Canada with concerts in Toronto, Stratford, Chatham and Ottawa and also participated in the Ameriflora Exhibition in Columbus, Ohio. The band is under the direction of Mrs. Catherine Abner, who is currently Director of Bands and the High School Choir Director at Valley View Local Schools. The band is always open to all musicians! The band practices year around every Monday evening from 7:00 pm - 9:00 pm at the Kettering Middle School band room on Glengary Rd., except on major holidays. Please use the contact form if you are interested in joining.